CHECK OUT OUR BEST OFFERS BELOW! If you’re looking for a Certified Pre-Owned Mercedes-Benz vehicle near Champaign, IL. at an affordable price you’ve come to the right place. Beyond the assurance of a painstaking certification process and 24-hour Roadside Assistance, every Certified Pre-Owned Mercedes-Benz now comes with industry-leading coverage: an unlimited-mileage warranty for one year that can be extended for up to two additional years. So no matter what your odometer reads, your confidence will know no bounds. 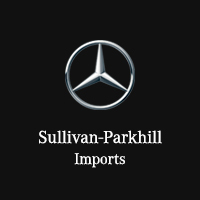 * Stop into Sullivan-Parkhill Imports today to view our great selection of Certified Pre-Owned vehicles. We can’t wait to put you in the vehicle of your dreams.